Breast cancer treatment has dominated my life since I found the lump April 22, 2017. I completed my first round of chemo in September last year. Chemotherapy was one of the hardest things I’ve lived through. I had a bilateral mastectomy with lymph node removal and reconstruction in October 2017. I didn’t heal well from the surgery, but they did get all the cancer. “No cancer in the lymph nodes and in the margins” is how they put it. They won’t declare me cancer free, but I am in remission. The incisions finally healed just in time for radiation. Radiation was quite an ordeal. I had to be treated every day. I left the house every day regardless of the weather at 8:45 to drive about twenty minutes for a treatment that lasted about five minutes. I did this alone for seven weeks. I cannot explain how it felt to lie beneath a machine that looks like a Kitchenaid mixer that has the power to heal or to destroy. One morning, my treatment was delayed because of a malfunction. Wasn’t that a nerve wracking morning! I prayed and sang (as best one can on one’s back) praises and worship to God “Thou of LORD art a shield to me—my glory and the lifter of my head.” God was my only companion in that radioactive room. God was my heart and lungs’ only shield. I completed my last chemo—Herceptin—last month. I’d been going for treatments for over a year for that. It didn’t make me sick like the first round of chemo, but it did make me feel exhausted, thick headed at times, and weaker. So here I am, August 20, 2018. Sixteen months after I found the lump that changed my life forever. I have pain. I still have stiffness and discomfort when I try to move my arm sometimes. I have scars from surgery and scars from the radiation burns. But I have life. I have something else, too. I’ve learned that symptoms and tests are facts. The word of God is truth. I will trust the LORD in all things. Just a little of why I’ve not been here. You can catch up with me at my other blog, Harvest Lane Cottage. We are a blessed nation. 2 Chronicles 7:14 gives the solution to this nation’s troubles. Thank you to everyone who is praying for me. I’ve been writing at Harvest Lane Cottage for quite awhile, and I wrote about my diagnosis of breast cancer. I am more than halfway through chemotherapy. I should be finished by mid-September. I have never looked forward to fall like this before! Be blessed, and visit at Harvest Lane Cottage to keep updated. I remember a quote from Erma Bombeck. You’ll remember her from the seventies. She said, “If life is a bowl of cherries, why am I aways in the pits?” A lot of us can relate. 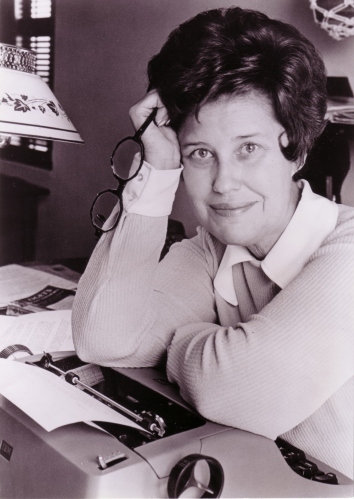 That’s what made Mrs. Bombeck so popular. She was famous for her witty way of stating the obvious. God is famous for stating the not-so-obvious. It is He, Jehovah God, our father, who through the Holy Spirit, inspired Paul to write, “And we know that all things work together for good to those who love God, to those who are the called according to His purpose.” Romans 8:28. Unfortunately, that verse does not not mean that everything that happens to us is good. Quite the contrary. It doesn’t even mean that all things work together for good for everyone. It means He uses whatever the circumstances are to work for those who love Him, the ones He called for His purpose. So, we have to trust Him even when we don’t feel like it, even when we cannot see any way that He can make things good. Trust, it all comes down to trusting Him and being patient for His perfect will and His perfect timing. So, next time I’m pitting cherries again, I’ll remember that He is Good all the time, not just when we’re eating the cherry jam. Trust and Obey for there’s no other way…to be happy in Jesus but to trust and obey. May God bless you as you draw close to Him. May you feel God’s Holy Spirit with you, and may your heart be tuned in to His voice. May you develop an insatiable desire to know Jesus better by reading The Word. May you walk in divine health and peace. It’s time to trust God.